Our Executive Director Matilda talks about the past year with Sandra Mwila of the Times of Zambia. Sandra Mwila (S.M): How was 2013 for NOWSPAR? MatildaMwaba (M.M): The year 2013 was a landmark year for us because we were building on the foundation we laid last year of public awareness to do more policy engagement work. So our focus was on policy makers at local and international level. Sandra Mwila (S.M): What programs did you embark on this year? Sandra Mwila (S.M): What have been your achievements as NOWSPAR? e. at regional and international levels through the advisory committee to the AU Region 5 on Sport, the International Working Group on Women and Sport, the Sport for Social Change Network and Girl Power Alliance, we are drawing attention to gender issues that impact sport. Sandra Mwila (S.M):How would you describe the performance of women in the sport this year? MatildaMwaba (M.M): It has been a bitter sweet year, we are not confident to say the performance of women has improved, what has improved is their coverage in the media and so we can hear more about both their losses and gains. It’s hard to compare with last year due to the limitations in data, an issue we are dealing with as a priority in the coming year. But we recognise and celebrate the achievements of women at both local and international level in amateur and professional sport. For example, the women’s u 17 football team, Catherine Phiri, Marjane Phiri, Gladys Lengwe, Leah Namukonda and several women who are reaching new heights in leadership, refereeing, administration, coaching and sport performance. 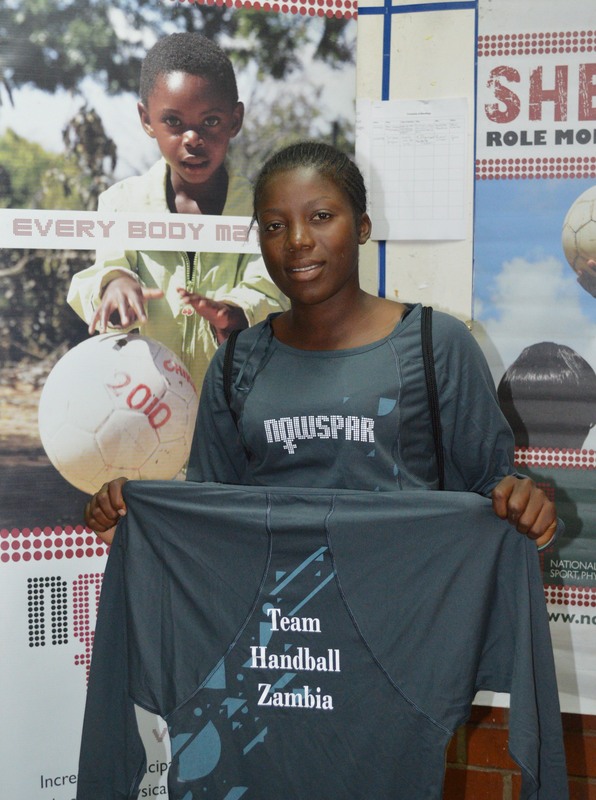 Sandra Mwila (S.M): What sport Associations have you worked with in 2013? 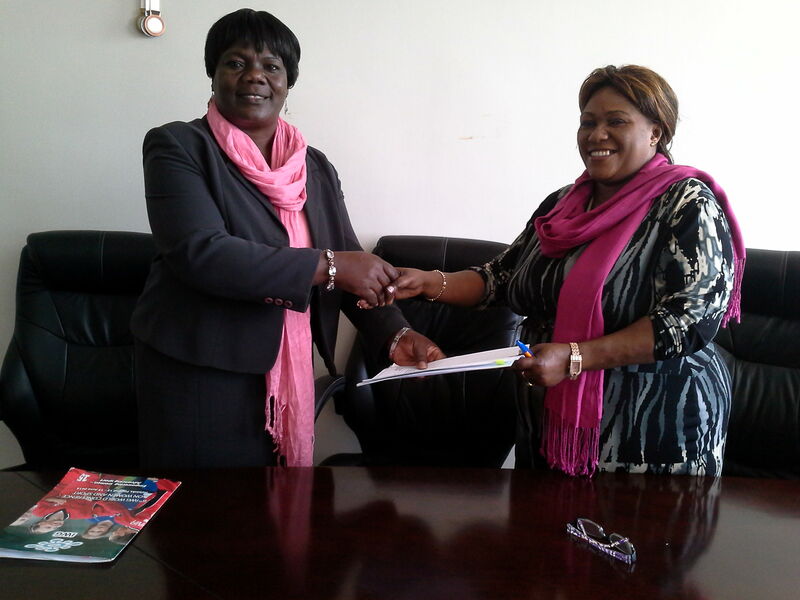 MatildaMwaba (M.M): Our organisation works across the sport community from grassroots clubs to the international bodies. We work to influence, profile, train and support the gender interventions in the sport organisations. We have actively engaged with Athletics, Volleyball, Basketball, Football, Netball, Body Building, Handball and Judo Associations. 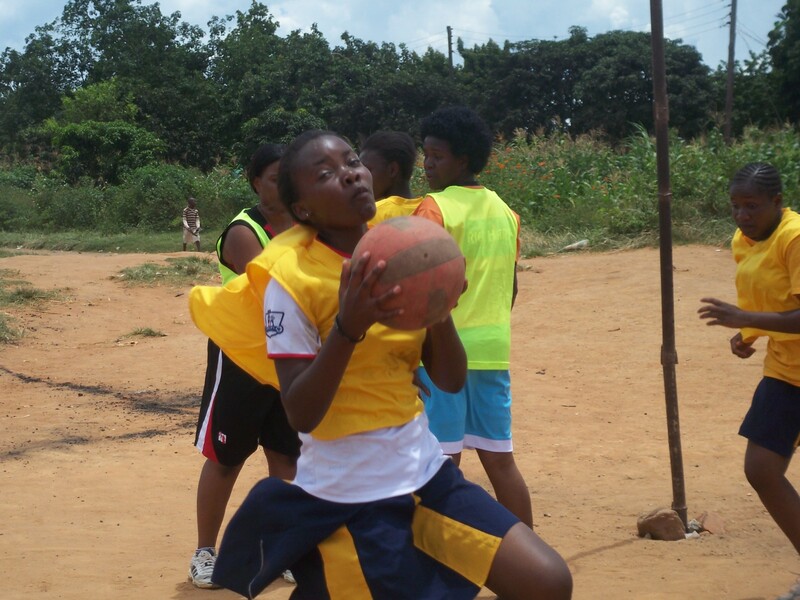 We worked with various NGOs and Church groups as well as District Sport Boards in Southern Province for example. We also worked to develop our relationships with the University of Zambia, the Charles Lwanga College and Nkuruma Teachers College. Sandra Mwila (S.M): Who supported your work this year? 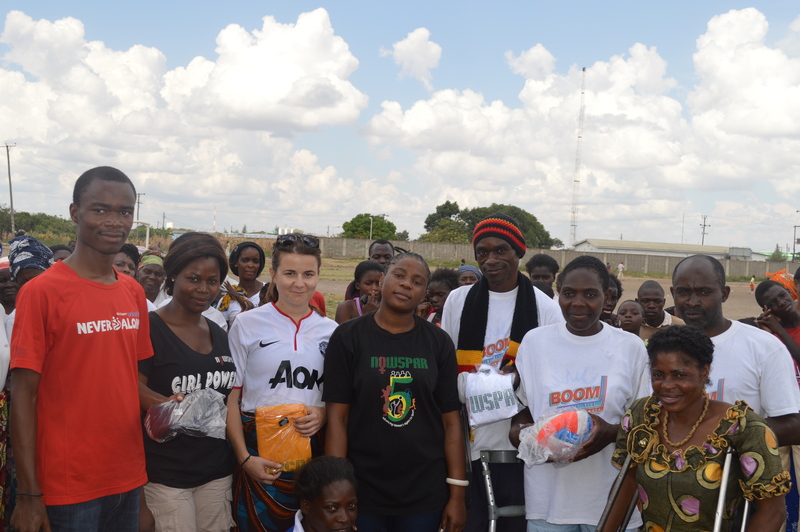 MatildaMwaba (M.M): Our work this year has been undertaken with the financial material and strategic support of partners including the Government of Zambia Ministries of Education and Sport, Nowergian Olympic Committee, The Zambian Governance Foundation, Women Win, Anita White Foundation and the Sport for Social Change Network. We have also had contributions from individuals locally and around the world.